Lots of us have popped into Singapore as a stop-over, but if we opted to only spend a night or two here shopping till we dropped, and assumed the best places to stay in Singapore were right by the airport, then we’ve really missed out. Singapore is a vibrant city in a surprisingly verdant setting. You don’t have to venture far from the skyscrapers before you’re surrounded by monkey-and-giant-lizard-filled rainforest. This city’s financial success has fed the hotel scene: there are some serious hotels here, a few with more than a thousand rooms! Once securely checked in, you are free to explore the wonderful contrasts this city offers. As well as the sci-fi city in a garden setting look of the place, there’s also a wonderfully creative fusion of modern and ancient flavours in the restaurants and flourishing cocktail bars. Then there's the shopping, which ranges from catwalk couture to excellent market knock-offs, both electrical and fashion. Don't forget about the ancient treasures and local specialities which make for unique souvenirs, and of course the usual myriad of visitor attractions combined with the wonderful, cosmopolitan atmosphere. The 101-hectare Gardens by the Bay is a wonderful area, filled with luscious plantlife and a number of stunning flower displays. You could also check out the National Orchid Garden, Cloud Forest or the Singapore Botanic Garden. Museum-lovers should definitely visit Battlebox, Buddha Tooth Relic Temple and Museum, The Intan and the Changi Museum - all of which are fascinating spots! If you want to see more of the city's traditional architecture then pass through the Emerald Hill neighbourhood or go see the NUS Baba House. Singapore Zoo is a splendid place to go spend an afternoon with the family! 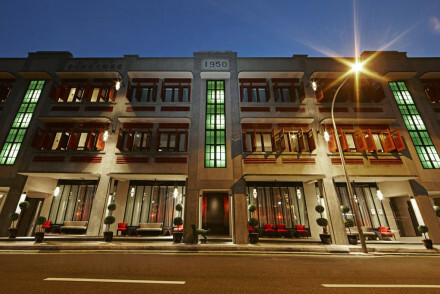 To avoid disappointment, be sure to book ahead as the best places to stay in Singapore get quickly booked up. Raffles Singapore is one of the world’s most famous hotels, home of the Singapore Sling and much loved by many a literary and celebrity name. 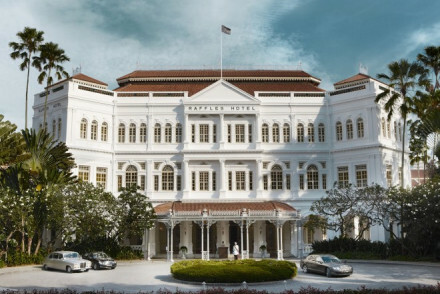 They say: ‘While at Raffles, why not visit Singapore?’ The 104 rooms are beautifully decorated and there are six restaurants, a pool, spa, theatre and museum. 80-room The Scarlet offers a romantic, theatrical experience with lashings of crushed velvet, dark polished wood and ornate mirrors. The restaurant is another theatrical affair and you are right in amongst the markets and night markets of Chinatown. 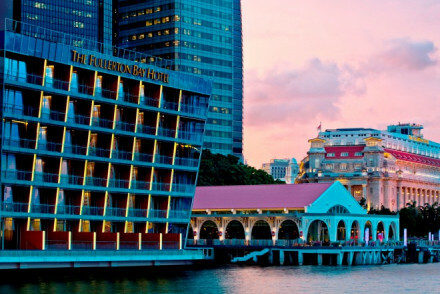 The Fullerton Bay Hotel is a supremely luxurious stay, boasting a smart and sleek design in a wonderful location overlooking Marina Bay. Tucked away in Sentosa Island's rainforests, the Capella Hotel boasts chic rooms exuding understated class and a number of wonderful dining options. A real treat! 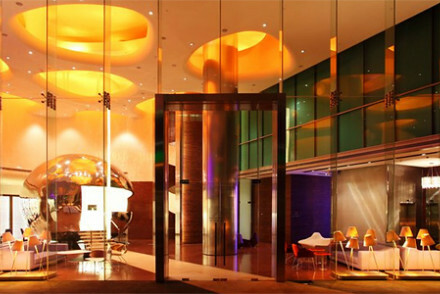 The New Majestic Hotel offers an award-winning fusion of old and new and East and West. Each of the 21 rooms are unique, featuring works by local artists, hanging beds, murals and plenty of plants. There’s also a popular restaurant and a rooftop pool and gym. Klapsons Hotel has just 17 boutique-style rooms in a cosy but modern style plus restaurant with modern cuisine. 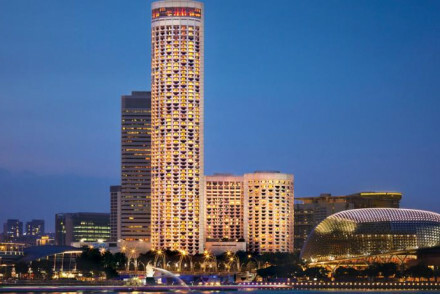 Swissotel The Stamford is a marvellous 5* stay - boasting tasteful accommodation with no less than 15 restaurants, two pools, plus extensive spa and gym facilities. Located just outside the city centre, Hotel Vagabond provides smart, stylish rooms with rich colours and dark wooden furniture. Come back after a day out sightseeing to unwind in the cocktail bar with a tipple. Shangri-La Hotel offers all the mod cons. you'd expect from a 5*, with a number of splendid restaurants and activities on site, as well as providing a range of upmarket rooms. A top choice. Converted from a former school, the Wanderlust Hotel has 20 uniquely designed bedrooms which range from Pantone Pink palaces to punk style offerings. It’s in the part of town referred to as ‘Little India’ which is just around the corner from the CBD, priced from around £80 per night. 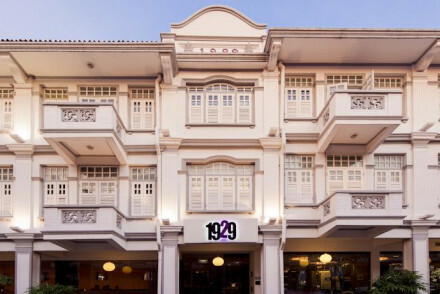 Or for something more traditionally Singaporean in the same price bracket, try the Hotel 1929, a boutique feeling hotel with small, but charmingly designed rooms and a great modern Chinese restaurant. 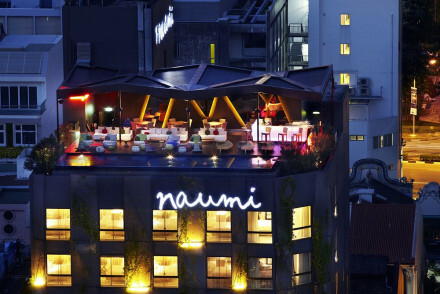 The Naumi Hotel is right in the CBD, with huge windows from its 73 rooms overlooking the 24 hours worth of action this city offers. There is a pool on the 10th floor and a gym with yoga facilities. Wangz Hotel is a modern boutique hotel with 41 rooms, in a historic district just a short stroll from the Botanical Gardens. So you have the best of both worlds from the popular rooftop restaurant to the showers with a view. 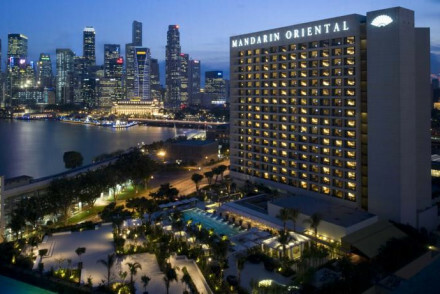 Mandarin Oriental Singapore effortlessly combines traditional Singaporean style with contemporary furnishings. You'll love the splendid views on offer from their lovely rooms. There are 5 restaurants to choose from and a lovely spa in which to unwind after a long day. 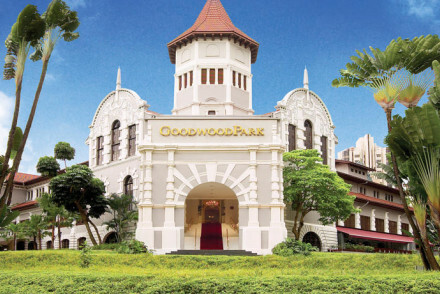 The Goodwood Park Hotel is another colonial era treasure with hints of China in the decor, plenty of beautiful antiques and six hectares worth of lush grounds with two pools. Whilst warm year-round, with average temperatures of 27°C, you may be best off avoiding visiting from November to January as this is when there is the most rainfall. A number of festivals take place from July to September, so this is a a good option for those wanting to take in the local culture. However as this is peak tourist season, you'll need to book ahead if you want a room in one of the best places to stay in Singapore. Guests can fly into Singapore Changi Airport, located 10 miles northeast Singapore and well served by public transport links to the city centre. Norwegian Air fly direct from Gatwick, whilst British Airways and Singapore Airlines go from Heathrow. 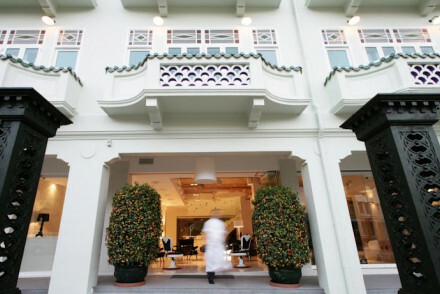 Browse though our list of all the best places to stay in Singapore. 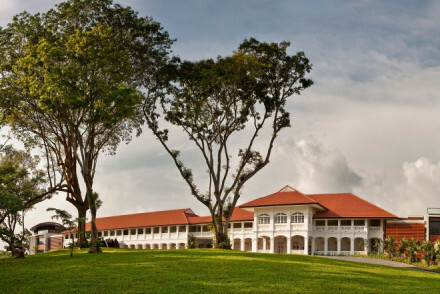 This former school, located in 'Little India' is aimed at travellers with serious Wanderlust. An attraction itself, each bespoke floor is the fruit of a different design firm's labour. From changeable LED's to giant sized type writer come sofas. Cocotte, serving innovative French cuisine is a hit. Sailing - Embark on a Singapore River Cruise, which navigates much of the city and is a relaxing way to see it. Sights nearby - Sri Veeramakaliamman Temple, Little India's most thriving temple is within walking distance. Great walks - Singapore's Gardens by the Bay are a futuristic answer to the Botanical Gardens. Cooking classes - Coriander Leaf offers excellent classes in the art of Indian cuisine. Owned by F&B mogul, Loh Lik Peng, 1929 is boutique in style with signature statement chairs throughout the property and original artworks. Bijou in proportions, rooms are small but beautifully designed. The pleasing price tags compensate! Ember restaurant serves great modern Chinese cuisine. Sailing - Take a boat to Sentosa Island where you will find amusement parks, golf and nature reserves. Great walks - Singapore's Botanical Gardens are a wonderful place to explore for a relaxing afternoon. Sights nearby - The Buddha Tooth Relic Temple and Museum and its roof garden is well worth a visit. Local markets - Chinatown with its food and clothing stalls and much more is on your doorstep. 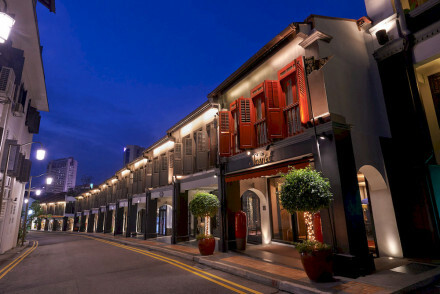 A boutique property in one of Singapore's most vibrant and historic quarters. Home to the popular Rabbit Stash rooftop restaurant as well as Nectar. Just like the dining, rooms are beautifully presented, fun and colourful with oil on canvas florals on the walls, and include a shower with a view! Sailing - A boat to Sentosa, where there are all manner of activities (golf, nature reserves, beaches, theme parks) is a must. Great walks - Singapore's botanical gardens are just a short distance away and a beautiful afternoon's ramble. Local markets - Chinatown and its array of food, clothing and other paraphernalia is within easy reach. Standing at over 150 metres Stamford has sky high rooms without the prices. Especially when you consider the 5* facilities it provides: 15 restaurants, two pools, state of the art spa and gym. 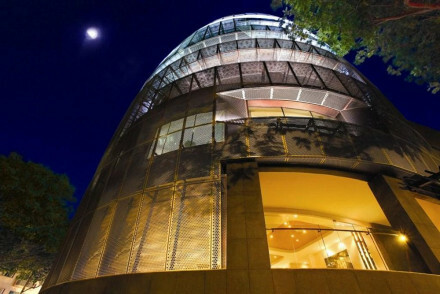 Conveniently located above the City Hall MRT Station it is a great for exploring. Rooms have harbour views. Sights nearby - Singapore's Night Safari has become one of its most popular nocturnal activities. Great walks - Singapore's Botanical Gardens are some of the most luscious in the world. An award winning amalgamation of old and new, East and West: this hotel is one of a kind. Each room is unique, designed by a different local artist featuring hanging beds, live foliage, murals and works of art. A popular restaurant serves modern Cantonese cuisine. Plus a rooftop pool and gym. Great walks - If not weighed down by bags from a visit to Orchard Road, the Botanical Gardens are just round the corner. Local markets - Chinatown with its night market and food market is on your doorstep. Following Naumi's recent makeover this hotel provides young professionals and couples with a stylish stay in the heart of SIngapore's CBD. Rooms have huge windows to take in the views and all the modern trimmings. There's a pool on the 10th floor to soak in and a trendy lounge area, gym and yoga. Great walks - The Skywalk, in Singapore's iconic Gardens by the Bay makes for a unique take on a stroll in the park. Local markets - Chinatown, by day a cacophony of food vendours; by night stalls sell just about everything else! Sights nearby - Baba House, one of the finest Peranakan heritage homes is a window into the city's past. A recent entry onto the boutique scene, Klapsons provides a fashionable stay for couples and businessmen. A futuristic lobby leads to modern restaurant serving equally modern cuisine. Rooms are a cosier affair with warm palettes and fun features: statement showers and electric curtains and lighting. Sights nearby - Baba House is one of Singapore best preserved Peranakan houses and worth a visit when in Chinatown. Great walks - Explore the nearby Gardens by the Bay and stop for a drink at Marina Bay Sands. Local markets - Chinatown with its food and evening market is located within walking distance. A throwback to colonial times with accents of Chinese decor this hotel is a wonderful blend of old and new. Similarly there are eastern and western dining options. Spacious rooms with cream palettes and highlights of gold and red. Two pools are located within six hectares of luscious grounds. Local markets - If your budget doesn't quite stretch to Orchard Road then visit Haji Lane where unique and bohemian treasures can be found. Great walks - Explore the visually stunning 'Gardens by the Bay' a modern take on botanical gardens. A property packed full of character located just outside the city centre. Bold and eclectic throughout the influence of an artists eye is difficult to miss. A glamorous cocktail lounge makes for lively evenings and rooms feature rich colours and antique furniture. An atmospheric base. City Style - An artsy hotel complete with an elegant cocktail lounge. Sights nearby - Visit the nearby Sultan Mosque and Sri Srinivasa Perumal Temple. Local markets - Explore the lively outdoor nightmarket (Pasar Malam). A long serving member of the luxury travel sector. Set in 15 acres of luscious grounds there is a pool, tennis courts, spa and gym as well as five restaurants serving 5* East and Western cuisine. Rooms are split over three wings ranging from corporate to old school colonial glamour. A no brainer! Sights nearby - Take a boat to Sentosa island where you will find nature reserves, amusement parks, beaches and much more. Great walks - The Singapore Botanical Gardens provide a relazing place to spend an afternoon. A seamless blend of contemporary and traditional Singaporean design. Floor to ceiling windows make the most of those views, as does the rooftop pool. Large rooms are filled with polished woods and shimmering silks. There are five restaurants to choose from, tennis courts and spa. So nice it hurts. Sights nearby - The futuristique Gardens by the Bay are visible from the hotel and a must visit. Local markets - China Town and its day and night markets are worth a visit. This boudoir boutique hotel is a theatrical experience; each room with a sense of drama. Lashings of crushed velvet, leather, dark polished wood and ornate mirrors decorate the rooms. Dining is quite the exhibition with Michelin looking dishes served up. There is a gym and jacuzzi. One for couples! Local markets - Chinatown (its day and night market) and its many affordable eateries are located right on your doorstep. Sights nearby - The iconic Buddha Tooth Relic Temple and Museum is located within a short walk of the hotel. Great walks - Escape the bustle on a stroll through Singapore's lush botanical gardens. Unrepentant luxury; enviable location. Overlooking the Marina Bay enjoy the view with a cocktail in hand at the poolside bar or from the privacy of your room which features windows for walls. Shiny and sleek, furniture is made of steel and walnut with local artworks. There is a pool, spa and gym. Sights nearby - The Singapore Flyer, the city's answer to the London Eye, can be seen from the hotel - and vice versa! Great walks - The iconic Gardens by the Bay is just a stroll from the hotel and well worth a visit. 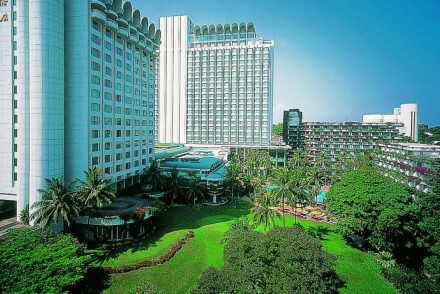 Nestled in Sentosa Island's rainforests this colonial meets contemporary hotel provides laid back luxury. Whether in a room, suite or villa you will be spoilt by the spacious interiors, stunning decor and furnishings and views to match. Excellent dining at Knolls, Cassia and the famous Bob's Bar. Great walks - The island's Nature Walk exposes its variety of flora and fauna. An homage to the days of the empire. Large suites with period features such as antique ceiling fans, floral prints and giant oriental rugs against a back drop of polished oak wood floors and muted tones. There are six restaurants offering worldwide, gourmet cuisine. A pool, spa, theatre and museum. Sights nearby - The Singapore Botanical Gardens provide 74 acres of greenery.